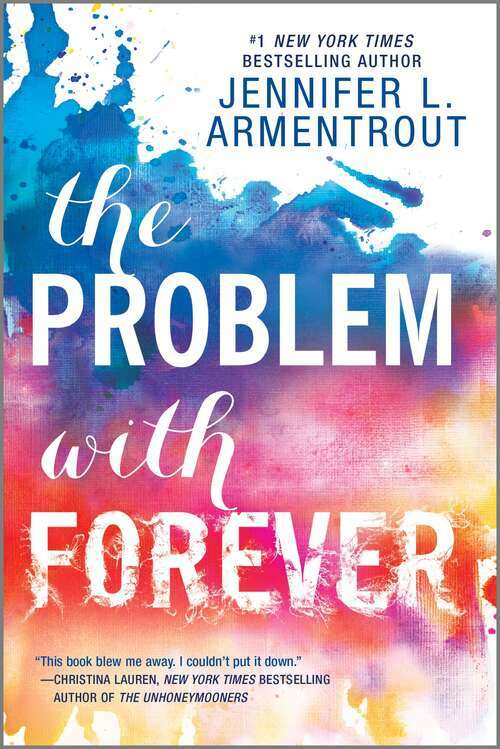 From #1 New York Times bestselling author Jennifer L. Armentrout comes a riveting new story about friendship, survival and finding your voiceFor some people, silence is a weapon. For Mallory "Mouse" Dodge, it's a shield. Growing up, she learned that the best way to survive was to say nothing. And even though it's been four years since her nightmare ended, she's beginning to worry that the fear that holds her back will last a lifetime.Now, after years of homeschooling with loving adoptive parents, Mallory must face a new milestone--spending her senior year at public high school. But of all the terrifying and exhilarating scenarios she's imagined, there's one she never dreamed of--that she'd run into Rider Stark, the friend and protector she hasn't seen since childhood, on her very first day.It doesn't take long for Mallory to realize that the connection she shared with Rider never really faded. Yet the deeper their bond grows, the more it becomes apparent that she's not the only one grappling with lingering scars from the past. And as she watches Rider's life spiral out of control, Mallory must make a choice between staying silent and speaking out--for the people she loves, the life she wants and the truths that need to be heard.